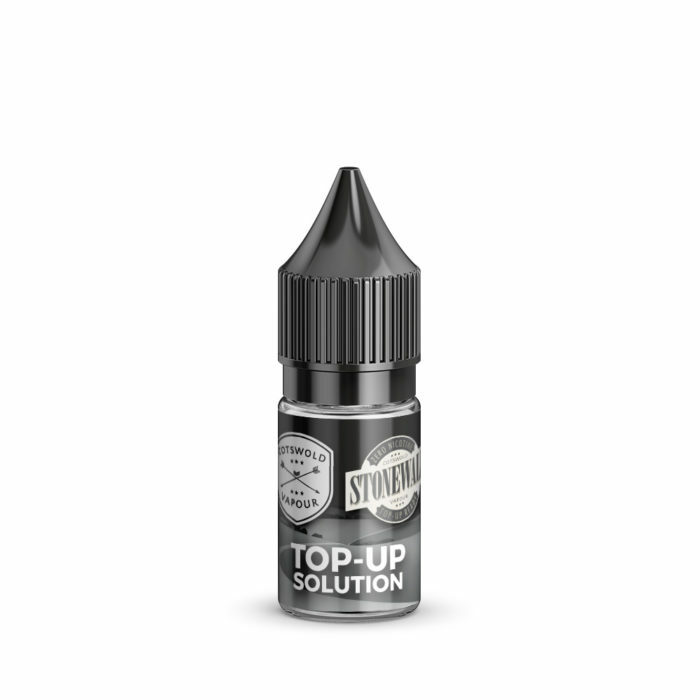 Ideal for those who vape 0mg liquids, our Top-Up Solution allows customers to top up their Shortfill products without adding nicotine. Presented in 10ml squeezable (LDPE) bottles, Cotswold Vapour Top-Up Solution is extremely quick and easy to decant the entire bottle without needing to remove the tip, reducing mess and waste. Much like our Nicotine Base, the composition of this product is 75VG/25PG*, which results in a final mix of 70VG/30PG when combined with any of our 50ml nicotine-free shortfills (two bottles of Top-Up Solution are required when topping a 100ml shortfill).